The City of Kettering is proud to be collaborating with individuals and organizations who are committed to serving and strengthening our neighborhoods. As this initiative moves forward, the number of organizations involved will grow and as a result contribute to building a larger service movement in Kettering. As you can see, there are many opportunities for you and/or your organizations to partner with us to support this important initiative. We would love to hear from you! Please contact the Volunteer Office at 296-2433 or online to join with us as we work to strengthen our neighborhoods! 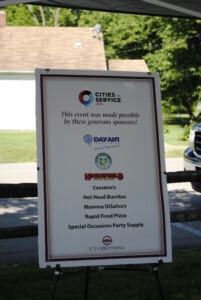 A special thank you to all individuals and community partners who make the Cities of Service Initiative possible with their generous contributions of time, talents, or treasures.